Mimetite-M: Mineral information, data and localities. 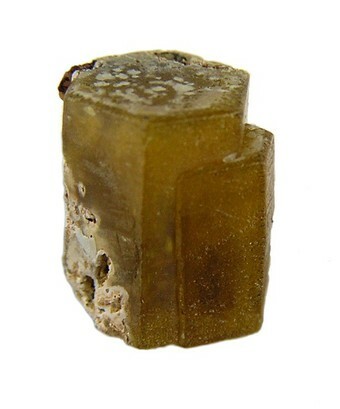 Originally named clinomimetite in 1991 by Yongshan Dai, John M. Hughes, and Paul Brian Moore for its monoCLINic structure and chemical identity with mimetite. Renamed by Pasero et al. (2010). A polymorphic variant of mimetite. Redefined as a Polymorphic Variant of mimetite in 2010. Dai, Y. (1993). 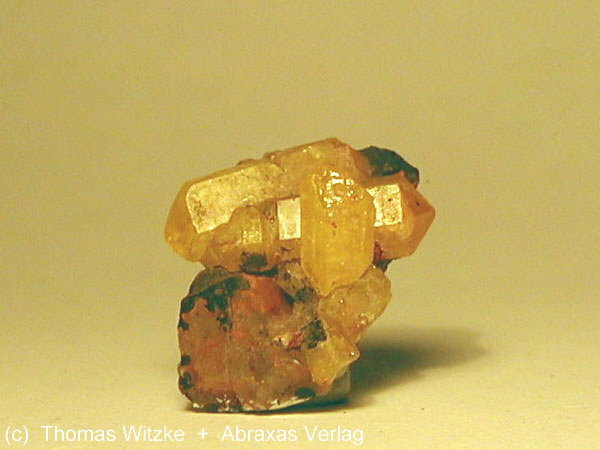 Clinomimetite. The history and substantiation of the natural monoclinic dimorph of mimetite. 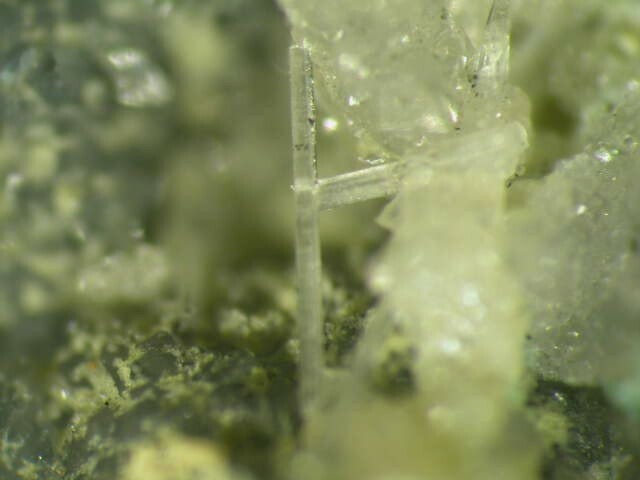 Mineralogical Record: 24, 307-310. Dai, Y., J. M. Hughes & P. B. Moore (1991): The crystal structures of mimetite and clinomimetite, Pb5(AsO4)Cl: Canadian Mineralogist: 29, 369-376.